The annual Klein Tools Electrician of the Year contest is underway. The award recognizes U.S.-based electricians who exemplify professional achievement, safety and community dedication. The grand prize winner receives a choice of a trip to one of four U.S. destinations, including Charlotte, N.C.; New York; Las Vegas; or Sturgis, S.D. The grand prize winner will also receive $1,500 worth of premium-quality, professional-grade Klein Tools products. Entries, including self-nominations, will be accepted online at www.kleintools.com/eoy until Aug. 6, 2017. The contest is only open to U.S. residents. Visitors can vote online for their favorite regional winner from Sept. 11-15, 2017. The grand prize winner will be announced on Sept. 27, via Klein Tools’ Facebook Live. Clean. Elegant. A control panel that can be described in that fashion can also be thought of as one that is efficient, reliable, safe. 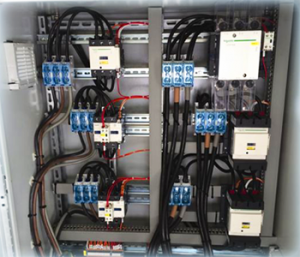 Contrasted to individually wired, point-to-point systems, where operators need schematics to track a jumble of cables and wires that have been cut to various lengths, an optimized and efficient control panel can be installed more quickly, tested more confidently, and maintained more reliably. Today, OEMs face increasing needs for faster turnaround times to build and install the machinery they make, as well as the control panels that provide the power to the motor starters, contactors, relays, and pilot devices, as well as the myriad sensors, valves, actuators, pumps and other ancillary devices used in manufacturing facilities. Contractors and maintenance people also face pressure to maintain and troubleshoot control panels as quickly as possible; machinery downtime is a bottom-line killer. The control panel of today has changed in design and build and its wiring needs have become more complex. To ease these challenges, suppliers have stepped in with new, smarter wire and cabling products. One of the leaders in this wiring evolution is ERIFLEX, a Pentair brand that produces low-voltage power and grounding connections. The company has developed products to streamline control panel assembly and installation that can also be adapted to specific applications and customer needs. Recently, the company introduced its ERIFLEX Flexibar solution, a flexible busbar wire replacement concept, that is designed to reduce weight and space and make cleaner connections using fewer materials. The company says that the ERIFLEX low-voltage power and grounding connections are the next-generation alternatives to bulky wires and cables. The Flexibar busbar is designed for low-voltage applications from 27 sq. mm up to 1,200 sq. mm and 125A to 2800A. A bus bar is essentially an electrically conductive strip or bar used to distribute power to multiple circuits in parallel. Busbar can also be used as a common tapping point for multiple ground or neutral terminals. ERIFLEX’s Flexibar is made from thin layers of tinned electrolytic copper formed into a stack that can be easily bent, folded and twisted, improving assembly flexibility, shortening connections and decreasing foot print. The copper layers are insulated with a high-resistance, self-extinguishing PVC or silicone compound. The insulating sleeve is grooved on the inner surface, reducing the contact surface with the laminates to less than 20%, increasing flexibility and making installation easier. Additionally, the ERIFLEX line offers insulated braided conductors, distribution and power blocks, busbar supports, insulators and accessories. The OEMs and electrical contractors who leverage this type of innovative, flexible technology for power distribution and grounding can gain competitive advantage. Because of installation speed, high-quality electrical connections and long-term reliability, early adopters will quickly see the bottom-line benefits, and be better positioned to stay ahead of the competition. For all of us at Steiner Electric, giving back to the communities we work in is more than just “something we do”… it is a part of who we are. That is why we are humbled by a recent honor bestowed upon us by Affiliated Distributors. There are so many Distributors and Suppliers who were also honored for their community work and for all of us here at Steiner Electric, we want to say “thank you” to them for all they do! 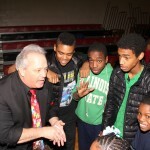 Below is a video of the awards presentation as well as photos from a recent Christmas party for homeless children in the greater Chicago Area. 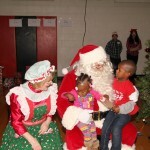 These children and their families deserve all of our support and we are proud to be able to serve them! On October 8th, Steiner Electric was presented the Affiliated Distributors’ (AD) Giving Back Award, during the AD National Meeting in Chicago. The “Spirit of Independence” awards banquet, recognizing those Distributors and Suppliers who have achieved outstanding performance during the previous calendar year.The Giving Back Award was created in 2010 to honor the many distributor and supplier community service, charitable and human interest projects throughout the industry. Steiner was presented this prestigious award for their many years of dedication to the Chicago area homeless community through the creation of “The Greater Chicago Area Electrical Industry Friends of Comic Relief back in 1991. 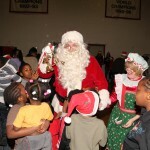 What began as a local Comic Relief fund raiser, for health care for the homeless, was preceded by an afternoon Christmas party for over 300 homeless children. 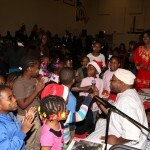 Even though the last fundraiser was in 1998, the children’s parties have continued for the past 22 years. 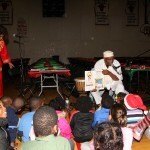 Today, Al Rzeczkowski and The Electrical Association of Chicago organize the Homeless Children’s Christmas Party. 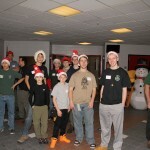 The entire event is fully financed and supported by annual donations from the electrical industry with additional Santa helpers from Boys Scout Troop 64 of Northbrook Illinois. 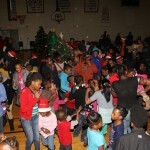 The homeless children and their parents are bused in from seven different Chicagoland area homeless shelters and treated to a full turkey dinner, entertainment, and gifts for every child and parent, plus special gifts for each participating shelter ranging from new beds and linens to computers and printers. 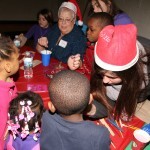 The Christmas party is an afternoon full of joy and hope among the families and volunteers. Affiliated Distributors is a group of over 500 are independent electrical, Industrial, Plumbing, PVF, HVAC and drywall distributors, with over 3,600 locations in three countries. Their accumulative annual sales exceeds $28 billion. How often does Lightning Strike? A bolt of lightning is one of nature’s most fascinating sights. While it is usually followed by the roaring boom of thunder, the flash of a lightning bolt is remembered by all who have seen it. In an electrical storm, the storm clouds are charged like giant capacitors in the sky. The cloud’s upper portion is positive and the lower portion is negative. There are three primary types of lightning; from a cloud to itself (intra-cloud or IC); from one cloud to another cloud (CC) and between a cloud and the ground (CG). Although lightning primarily occurs when warm air is mixed with colder air masses, resulting in the necessary atmospheric disturbances for polarizing the atmosphere. About 70% of lightning occurs over land in the tropics where atmospheric convection is the greatest. Author Michael ButeraPosted on August 18, 2014 Categories UncategorizedTags lightningLeave a comment on How often does Lightning Strike? Copper prices hit a two month high for the week ending May 16th, impacted by a combination of falling warehouse inventories of raw copper and technical tightness in the markets. Despite the recent recovery in the LME-(London Metals Exchange), market analysts remain bearish on copper’s long term pricing for the rest of this year. That attitude is being arrived at based on factors such as the Chinese construction market and a surge in supplies. New housing starts in China remain weak. China still accounts for 35-40% of global copper consumption. In addition there is a large amount of copper accumulated in bonded warehouses used for profitable lending. However demand for copper seems to be improving outside of China.